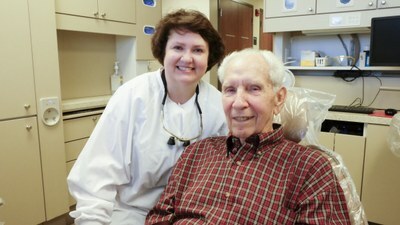 For many years, I’ve received great care from UofL Dental Associates. The faculty providers are up on the latest techniques, and really care about their patients - always recommending treatment that best fits my needs. – Don of Louisville, Ky.
We offer affordable, tailored oral health care for the whole family. We are your dental home. If you’d like to schedule an evaluation for our services, please contact us at 502-852-5096 to make an appointment.